Eurig Salisbury was born in Cardiff in 1983 and raised both in the city and in south-west Wales. He taught himself the ancient Welsh poetic art of cynghanedd when he was thirteen. He has won awards in many Eisteddfods (Welsh cultural festivals) from a young age, and was one of five young poets who took part in a successful poetry tour in 2006, Crap ar Farddoni, and in the same year he won the Chair competition at the National Urdd Eisteddfod in Denbighshire. His first volume of poetry, Llyfr Glas Eurig (Eurig’s Blue Book), was published in 2008, and a book of children’s poetry, Sgrwtsh!, in 2011. After working as a research fellow at the University of Wales Centre for Advanced Welsh and Celtic Studies at Aberystwyth, he is now a lecturer at the Department of Welsh and Celtic Studies, Aberystwyth University. 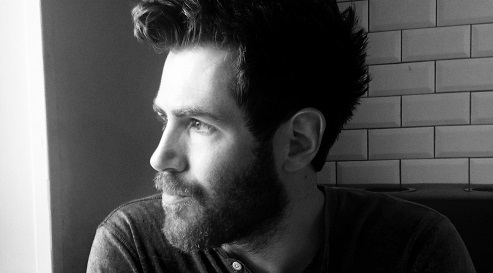 He was Bardd Plant Cymru (Welsh Children’s Poet Laureate) 2011–13 and Hay Festival International Fellow 2012–13. Eurig Salisbury participates in the project Poetry Connections India-Wales organized by Literature Across Frontiers and partners to mark the 70th anniversary of independent India.